For as many friends as I had growing up, I was a lonely child. Raised by an elderly woman, I lived apart from my brothers and sisters; my mother and father, too. And although our family tree branched out wide as weeping willows, I didn’t often find comfort in its shade. Even in the few times we spent together, I always felt different; like I was special. Maybe seclusion birthed my grandiosity? I don’t know. Call me a dreamer if you will, but from an early age, I just knew I was destined for greatness. 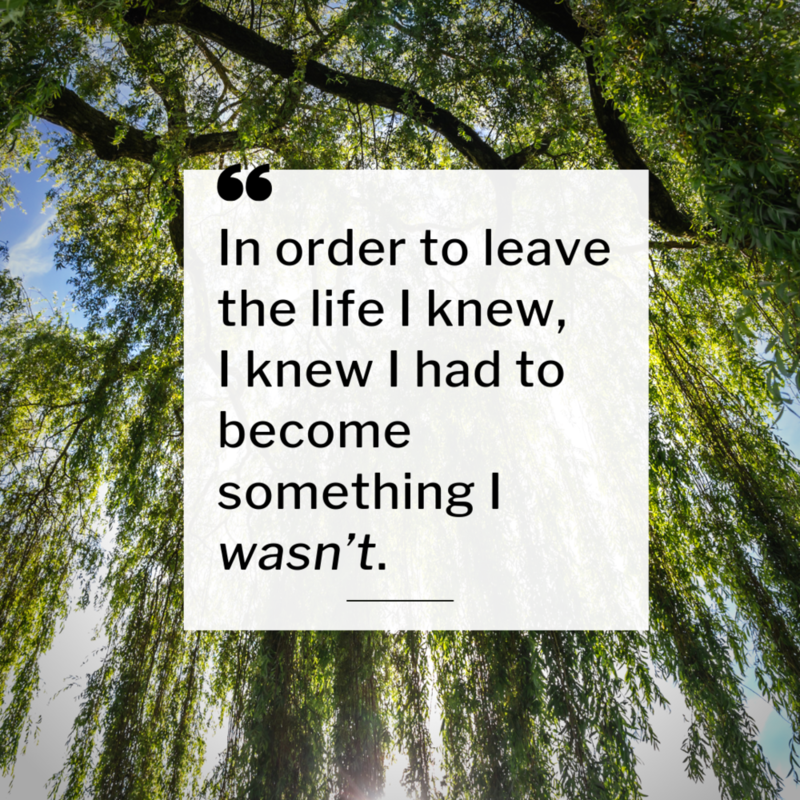 But in order to leave the life I knew, I knew I had to become something I wasn’t. I was determined to be someone important, someone significant; not just anyone, someone. Once I saw Billy Ray Cyrus’ 1994 performance of “Achy Breaky Heart,” I knew who that someone was; a “Rockstar.” From that moment on, like Billy Ray’s hopping entrance, I jumped at any opportunity to make my dreams come true. If only I could be half as good as his mullet was long, surely I would make it. But as many of us know, sometimes the things we want, turn out to be things we don’t. I found out greatness has a price. Because in pursuing rock stardom, I lost myself. As a result of my identity being rooted in what I did - not who I was, I buried myself in works-based identities. When music no longer afforded me the life I dreamed of, I chased after the American Dream through corporate America. From entry level position to executive, I climbed the ladder and worked hard to earn titles worthy of respect. But somewhere between the positions of Analyst and Director, I lost direction. After being able to afford the American Dream, I experienced an American luxury; drug and alcohol addiction. In the rooms of anonymous meetings, I repeatedly declared, “My name is Joshua and I’m an addict.” From my experience, frequently reinforcing our identities in addiction perpetuates addictive behaviors. We may encounter addiction, but like people who experience homelessness, our estate does not define our identity…unless we allow it to. Rockstar, addict, or corporate executive, stay-at-home mom or unemployed dad; the world tries to define us. It’s easy to lose ourselves when we don’t know who we are, I know I sure did! Insecure in who I was, I tried being a lot of things. But none of those things ever provided me any peace. At least, not until I got to the end of myself. After trying to be everything to everyone, I let go of everything I knew and let God tell me who I was. By losing myself, I found myself. When I said yes to Jesus, I inherited a divine lineage as a son of God. We have the privilege of standing on the shoulders of our Father when we introduce ourselves to others, “I am ______.” When we frame our estate with the foundation of our Creator, we walk in our spiritual birthright. He becomes our father, and we become His children. We lose the desire to make our names famous because we long to make Him known above every other thing. Seeing Him rightly, we know He alone is worthy to be praised. We no longer try to make our own way in life, because we see His ways as better! But you may ask, practically speaking, how does that work? Like growing children, our relationship with God does not mature overnight. It takes time and consistency, trust and obedience, surrender and perseverance. It takes walking in humility and admitting our wrongs. Like a cherry placed on top of a Gospel sundae, God works best when we relinquish control. In my experience, holding on for dear life has cost me great loss. I could have saved myself, and others, a lot of heartache and disappointment by letting Him lead. Where I once fought the world, I now surrender to God. Instead of directing the trajectory of my life, It now feels amazing to proverbially say, “Look Ma, no hands!” As we trust Him with our lives, He shapes the desires of our hearts and proves He is better than anything we can imagine. Though life is exponentially better as a son, I hit occasional bumps in the road which make me grasp the handle-bars a little tighter. And sometimes, I fall…. actually, I fall a lot. However, I don’t let road rash get me down. Because He is a good Father, He picks me back up and reminds me of who I am. I am not just someone, I am a son of God! Maybe you find your identity elsewhere, too? In what ways does your perceived identity contradict who God says you are? In what ways does your identity align with who God says you are?